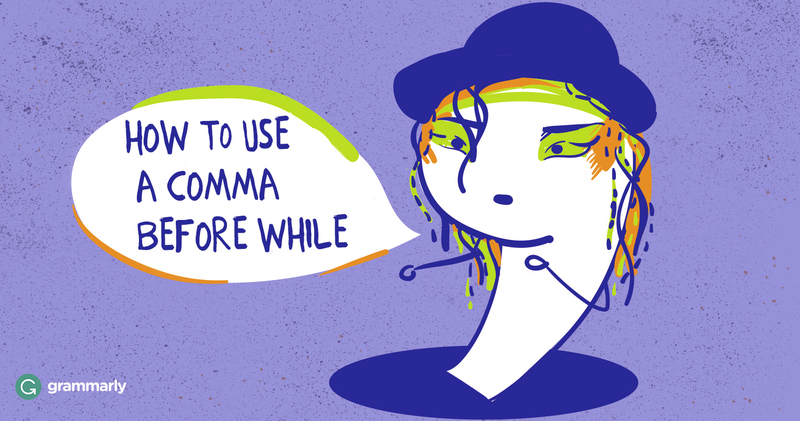 Don’t use a comma before while when you’re talking about two things happening at the same time. I decided to take a nap under my desk while everyone else was in the meeting. I decided to take a nap under my desk, while everyone else was in the meeting. Let’s order the curtains while they’re still on sale. Let’s order the curtains, while they’re still on sale. I prefer chocolate cake, while my sister prefers key lime pie. I prefer chocolate cake while my sister prefers key lime pie. The price of eggs is rising, while the price of milk has stayed the same. The price of eggs is rising while the price of milk has stayed the same. When while is the first word of your sentence, you obviously shouldn’t add a comma in front of it. But if you’re using while to mean “whereas,” you still need to put a comma somewhere. Put it at the end of the clause that while introduces. The comma should go between the things that are happening at the same time. While my sister prefers key lime pie, I prefer chocolate cake. While the price of milk has stayed the same, the price of eggs is rising.